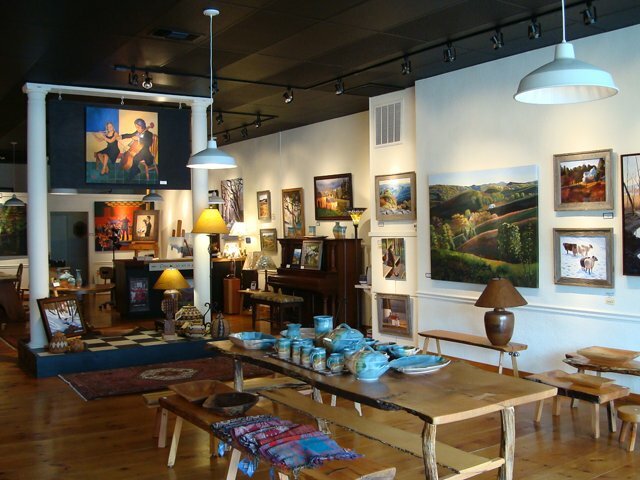 Also featuring handcrafted folk art trees and wood furniture by Elijah Holman, plus North Carolina pottery and a large collection of fine scarves, bags and textiles from around the world. Prints by Lenore de Pree. We are open Wednesday through Saturday from 10AM until 5PM. 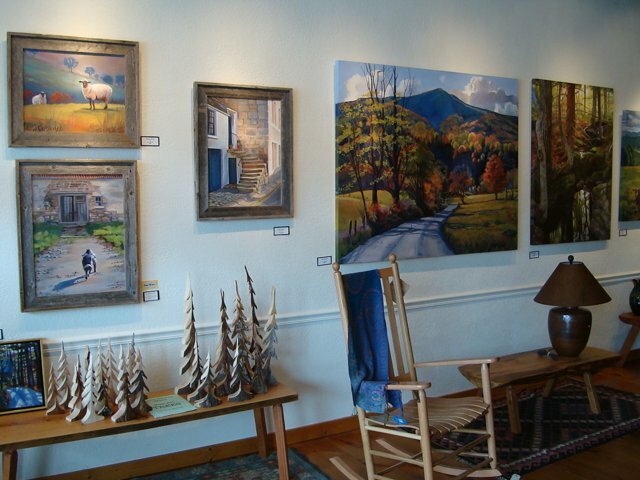 Joanie draws most of her subject material from her beautiful surroundings in the North Carolina mountains and from her travels to the British Isles. Joanie welcomes commissions, and will paint glowing landscapes and portraits from your images or hers. 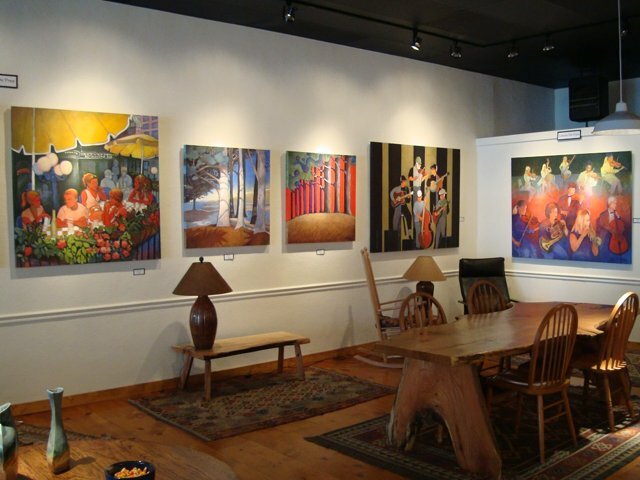 Click Here for a look at Joanie's artwork now on display in the gallery.